Welcome to the Marine Room. Views of the Detroit city skyline that will take your breath away. With the capability to entertain 100-500 guests for a full-service dinner, The Marine Room boasts the perfect atmosphere to entertain guests with live music and entertainment. 40 foot Cascading Roostertail Fountains, a unique Fireplace Resting Area and an Outdoor Side Patio create a magical mood in The Marine Room. With a Hydraulic Rising Dance Floor and Advanced Sound & Light System controlled using a Philips Hue system, and Two 52’ Flat Screen TVs, the Marine Room meets all your technology needs. 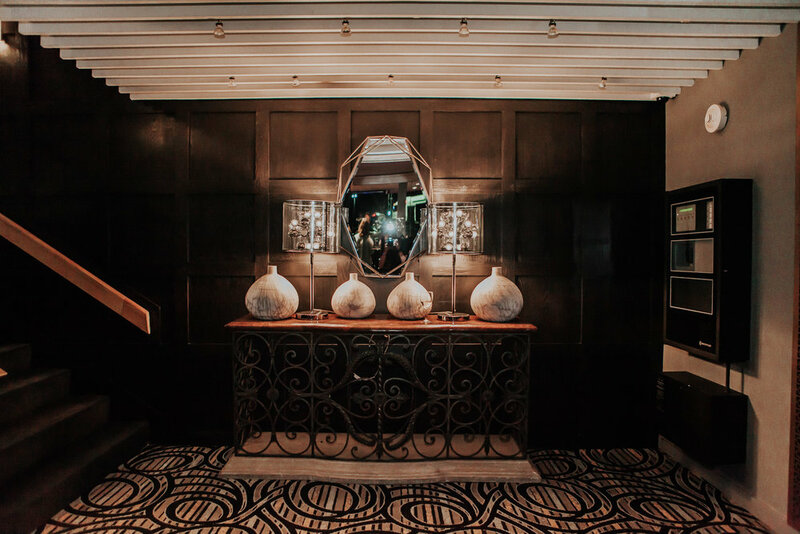 The Marine Room is our our second-largest guest area featuring a Luxury Women's Private Restroom, and a 500 square foot staging area.